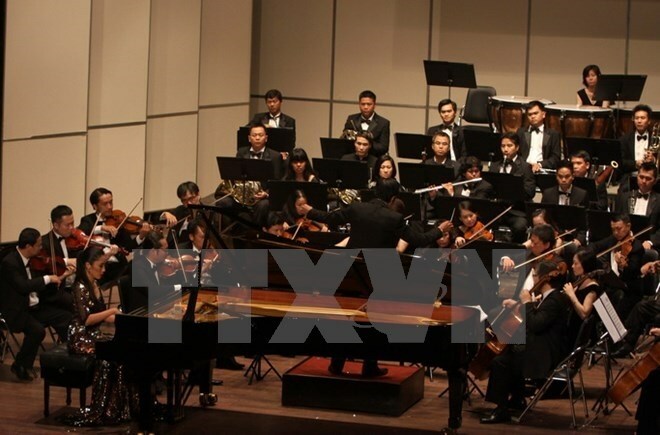 HCM City (VNA) - The Ho Chi Minh City Ballet and Symphony Orchestra and Opera (HBSO) will grace the city with a concert to celebrate the 126th birthday of President Ho Chi Minh on May 19. The concert Con Mai Ban Hung Ca (Forever Epic Song) will open with music pieces by veteran composers Huy Du, Hoang Cuong and Nguyen Dinh Tan. The night will feature Tram Nam Nho Bac, Ngan Nam On Nguoi (Thousand Years of being Grateful to President Ho), a new production written for the orchestra by Vinh Lai. The second part of the programme will feature performances by HBSO’s young dancers. They will perform Con Mai Ban Hung Ca, a two-act dance choreographed by People’s Artist Vu Viet Cuong and Kim Quy in praise of the country’s heroic history.